Bharat Scientific World has grown as a highly renowned manufacturer and supplier of laboratory furniture in Bangalore, India. 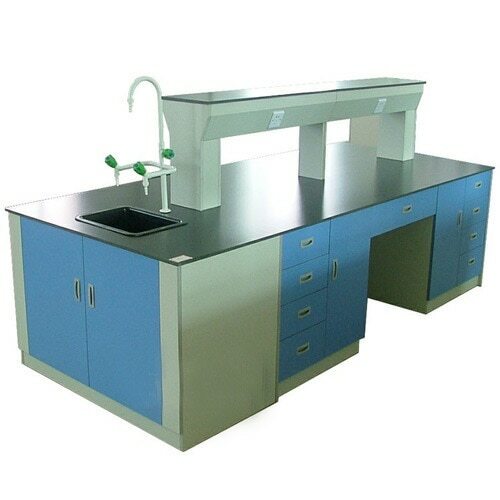 Our products range include science lab furniture, laboratory working table, modular lab furniture, modular clean room, computer labs modular furniture, wall cupboard, center island table, sink table, storage cupboard & SS panel etc. We are supplier of Lab Furniture. Kindly contact us for the any type of Lab furniture. Our Laboratory Furniture is specifically designed so that it gives safety, comfort, durability and customized features. We are Supplier of Laboratory Sink in Bangalore. Please contact us for the same. We Supply Stainless Steel Laboratory Sink in Bangalore. We are a highly popular organization of the market engaged in manufacturing, trading and supplying a wide range of Laboratory Furniture & Instruments. We offer a complete choice of products which include fume hood, bod incubator, water bath, laboratory incubator, bacteriological incubator and digital balance. For more details please visit our website.